WASHINGTON — The data-intensive nature and fast pace of modern warfare are increasing U.S. military demand for services from low-orbiting satellites that can relay information more quickly than those in high orbits, according to senior officers and industry officials at the recent MilSatCom USA conference. Far flung military forces rely heavily on remote data processing capabilities that are highly sensitive to transmission delays, or latency, associated with communications satellites in geostationary orbit, some 36,000 kilometers above the equator, these experts said. 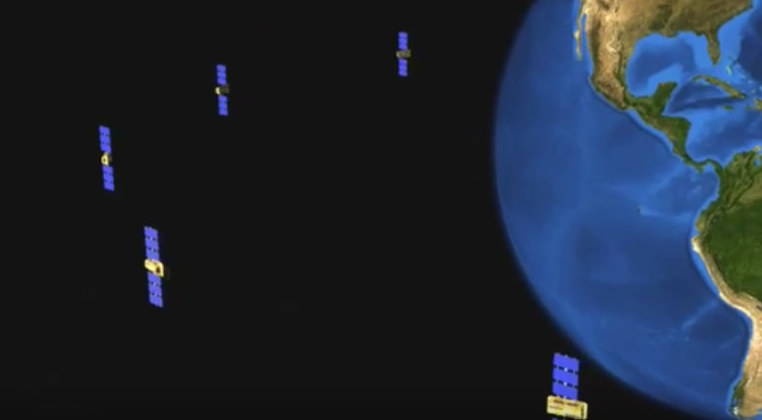 Satellites in lower orbits do not have the same latency issues, making them better suited to support certain data-intensive military operations. Speaking at MilSatCom USA, which was organized by the SMi Group of London, U.S. Army Maj. Gen. Peter Gallagher, currently director of architecture, operations, networks and space in the office of the Army’s Chief Information Officer, served up a real-world example to illustrate the trend.